Pinecam.com • View topic - FREE Interview Workshop at MRC Tomorrow1/31! 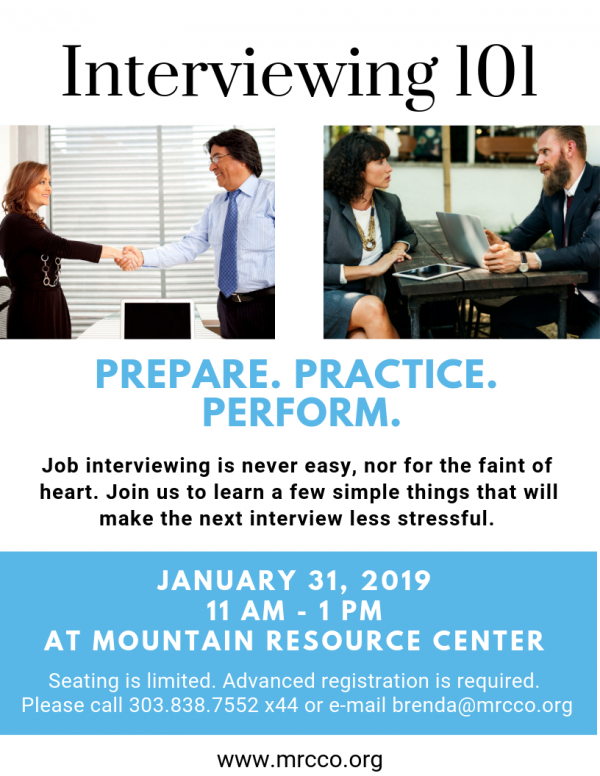 Post subject: FREE Interview Workshop at MRC Tomorrow1/31! Space is still available - call 303-838-7552 x44 or e-mail brenda@mrcco.org to register now!